What do the vandalism of beehives and eating laundry detergent pods have in common, besides being dangerous to the perpetrator? They both have gotten undo attention thanks to traditional and social media. Destructive and dangerous behaviors like these tend to make the news precisely because they are unique. The problem is that they become more commonplace the more they are publicized. I was under the impression that beehive vandalism is running rampant lately when in fact there have been only two (2) reported crimes, one in Sioux City, Iowa and the other in Prunedale, California. The number of individual honey bees killed is staggering, no question, but so far these appear to be isolated episodes. That is what the media will do. It will inflate or undermine the reality of what is going on. I wonder now exactly how many teenagers have been eating those laundry detergent pods. Maybe that has been overstated, too. One other danger of social media and standard media hype is that it can add fuel to the fire. What was a single display of stupidity or vandalism can then result in copycat behavior by others, escalating the damage. I posited the question of what is behind the beehive vandalism to an entomology group on Facebook. One of the prevailing theories was that the Prunedale massacre could easily have been a copycat crime due to the widespread publicity of the Sioux City news story. Insurance fraud was mentioned as a potential motive, along with competing beekeeping businesses, but we may never know. While at least one video out there claims that beekeeping practices are "cruel" and honey bees are basically slaves to humans now, I doubt People for the Ethical Treatment of animals (PETA) or any other animal rights group would harm the bees themselves. 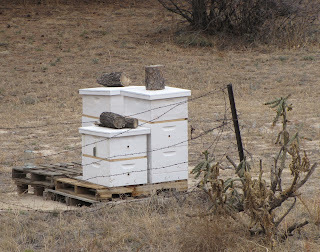 Another interesting point brought up by the entomology group was that we seldom hear about crime in rural areas, which makes a story like the destruction of the beehives all the more attractive to the media. Social media makes almost all geographical locations accessible to traditional channels of news and information, so the two tend to feed each other. Rural crimes, I am told, can be a matter of disgruntled neighbors, vindictive ex-spouses, bored teenagers, or any number of other stimuli. While I by no means condone beehive vandalism, I lament that the media fails consistently in giving the entire story of apiculture. Honey bees are not native to the New World (North, Central, and South America), but have been introduced here. In the U.S., the first colonies of honey bees were brought by settlers to Jamestown in 1622. They needed the bees to pollinate the crops they imported, not knowing whether native North American bees could, or would, do the job. Furthermore, beeswax was an essential product back then. Honey was perhaps the least of it. Since then, apiculture has become an industry, one that markets itself vigorously and creatively. It has become a giant enterprise because agriculture has scaled to the point where there is no other way to effect pollination. Indigenous plants and landscapes have been marginalized at best, removing native bees from the picture. The scale of agribusiness is what has taken us to the point where, and I exaggerate to make a point, one non-native species is all that stands between us and starvation. That was my thought when I learned of the attacks on the hives. Should someone or some organization want to crash a lot of crops, decimating honey bees would be a good start. Fortunately, even with a great deal of ambition and manpower, that scenario is next to impossible to achieve. 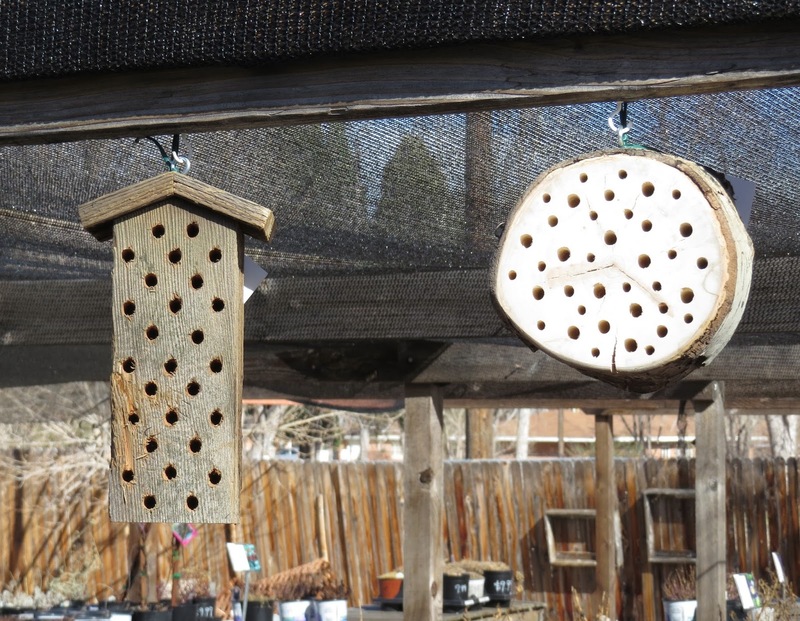 More of these for NATIVE bees! So, a twelve- and thirteen-year old have been arrested in connection with the destroyed hives in Sioux City. Besides fines, a criminal record, and potential incarceration, I wonder if they might be sentenced to community service in....apiculture. Indeed, maybe those kids we label as idiots for ingesting laundry detergent pods could start a youth beekeeping trend instead. Better yet, get them to work making "bee condos" for native, solitary bees that can be hung up around community gardens and local, small-scale farms. Get that activity on Youtube channels. Time for constructive, not destructive, initiatives my young friends.